Many people do worry about the cost of auto transport payments, possibly leading them to delay booking the service due to their belief that it is far more expensive than it actually is. There is a common misconception that auto transport is an expensive service used only by companies and the elite. The truth is that, every day, thousands of people are using an automobile transport service to move their vehicles from one place to another at a cost that is similar to or less than driving it yourself, and, also, far more convenient. Even if you are driving yourself to another destination, there is still a cost associated with gas and wear and tear on your vehicle. As gas prices continue to increase, the cost of driving a car across the country, or even just multiple states, can be prohibitive. Fortunately, many auto transport companies are flexible when it comes to payment. Most will accept a deposit for the service up front, and the balance is then payable in cash when the service is completed. Though the bulk of the payment is due upon completion of the transport, at least the entire auto transport payment is not due up front. What Types Of Payment Do Auto Transport Companies Accept? Auto transport companies, like any business, will accept multiple forms of payment. In general, most people will pay using a credit card. The reason for this is that it is easy to process payments over the phone or even online, and some auto transport companies will take a deposit upfront, then charge the rest of the amount to your car upon delivery. Of course, you may prefer to make your car shipping payment by cash or check. 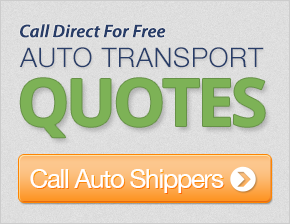 Auto shipping companies are flexible in the payments they accept for car transport services. However, its’ a good idea to talk to the company you are using to find out their acceptable forms of payment and the terms they offer. When making cost comparisons against driving or using an auto transport service, remember to take into consideration unexpected costs, such as getting a flat tire and having to pay for a replacement. The possibility of an accident on unfamiliar roads is also a deterrence, as car accidents are not only costly but dangerous as well. To get the lowest price possible when shipping a car, always plan ahead. Shipping a car on commonly traveled routes can save you money, and many transporters offer multiple car discounts as well. Former military members may also be eligible for discounts. Always ask to see if you qualify for any discounts, and compare multiple offers to get the best deal. Many people who choose to move their car with an auto transport service will find that it is the most cost effective way of moving from one place to another, and it takes much of the stress out of moving. Auto transport rates really are much more reasonable than one might think!